Volkswagen Repair In Covina, CA | TL Motors Inc.
Volkswagen is known for premium cars and SUVs with high-quality interiors that command higher prices than do comparable mass-market vehicles. TL Motors can handle any size Volkswagen repair. We are Volkswagen repair certified and your number one choice for Volkswagen repair in Covina California. So regardless if its a Volkswagen Santana or a Volkswagen Polo Motors will quickly get you on you way. From a Volkswagen Golf brake repair to a Volkswagen Beetle timing Belt replacement. Our Volkswagen repair and service shop is located in Covina, CA. We also proudly serve the following areas: Azusa, Baldwin Park, Duarte, Glendora , La Puente, Monrovia, San Dimas, Walnut, and West Covina. and surrounding areas. No matter what model Volkswagen you drive our certified Volkswagen mechanics can repair your vehicle to it’s original factory standards. Volkswagen Beetle, Volkswagen Golf, Volkswagen Touran, Volkswagen Passat, Volkswagen Lavida and more. 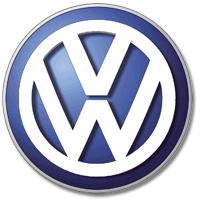 Bring your Volkswagen to TL Motors for a quality Oil Change, Full 62 Point Inspection or Brake Repair Today!